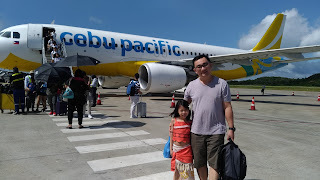 I am constantly in search for new restaurants to try in Quezon City. Luckily, I have a lot of foodie friends who tag me on social media whenever there's a newly opened establishment. The latest one is Blue Rocket Cafe + Kitchen along Sct. Reyes in Quezon City. I was surprised when my order was placed on our table. I didn't expect a whole piece of soft shell crab because a lot of restaurants serve this dish in bits and pieces. The veggies were fresh and the fries were really thick. I don't have any complaints at all, I love everything on my plate! BBQ Baby Back Ribs looked a bit different because the sauce was poured over the meat. For those who are curious if the meat was tender, the answer is yes ; ) I actually used my fork to get a piece of the meat. 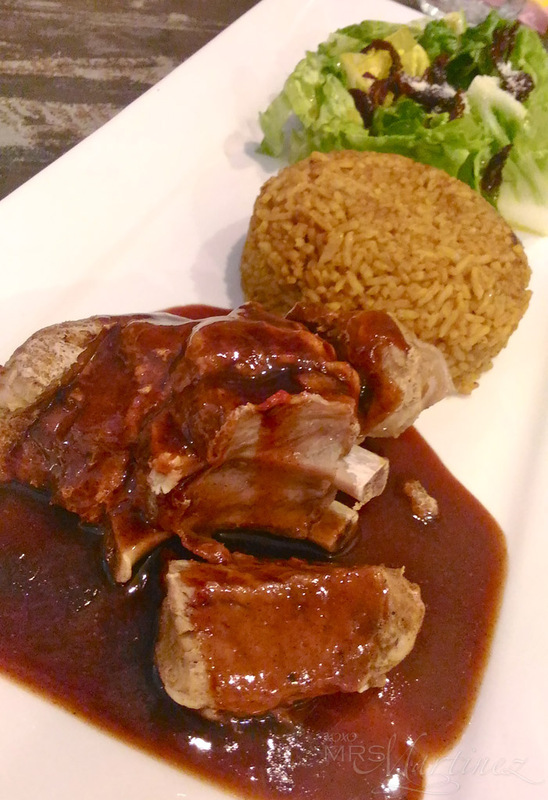 All items listed under Comfort Food are served with seasoned rice and a serving of fresh salad. You may change your seasoned rice to thick-cut fries or more greens for an additional Php 50 only. 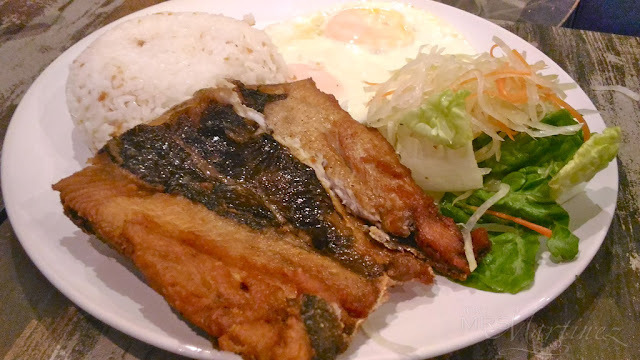 This homemade half-pound boneless bangus belly was my mom's order. She likes to order daing whenever she sees one on the menu. This order along with all the items listed under All Day Breakfast comes with pickled vegetables and 2 eggs. 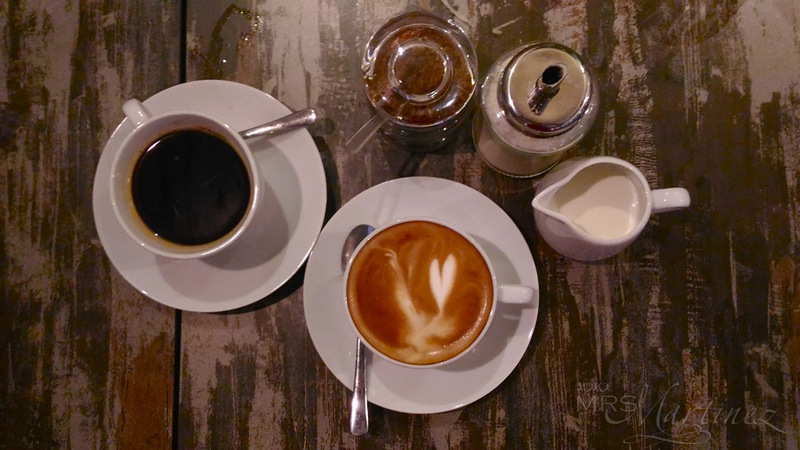 For undecided couples, you may choose from Blue Rocket Cafe's single-shot, classic espresso drinks- Americano, Latte or Cappuccino. 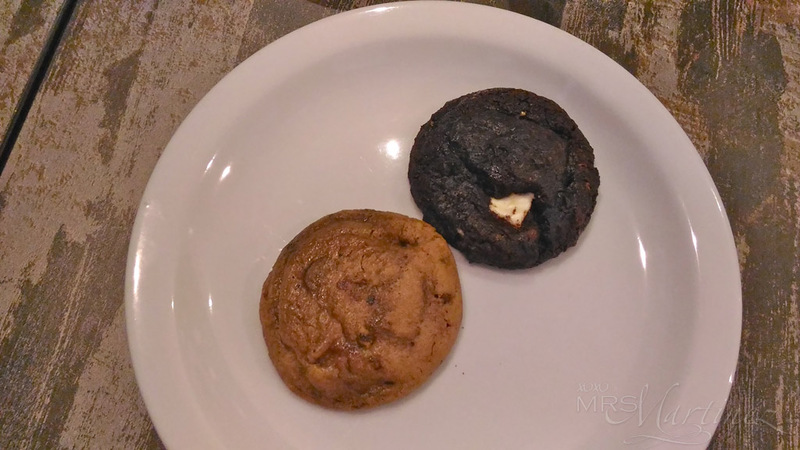 My daughter received a complimentary serving of freshly-baked cookies... yey! Blue Rocket Cafe + Kitchen is a perfect venue for social gatherings or a date night, the restaurant even has a private function room that you can rent out for Php 4,000 (max. of 4 hours). I will most definitely be back with my friends for some coffee and more food! 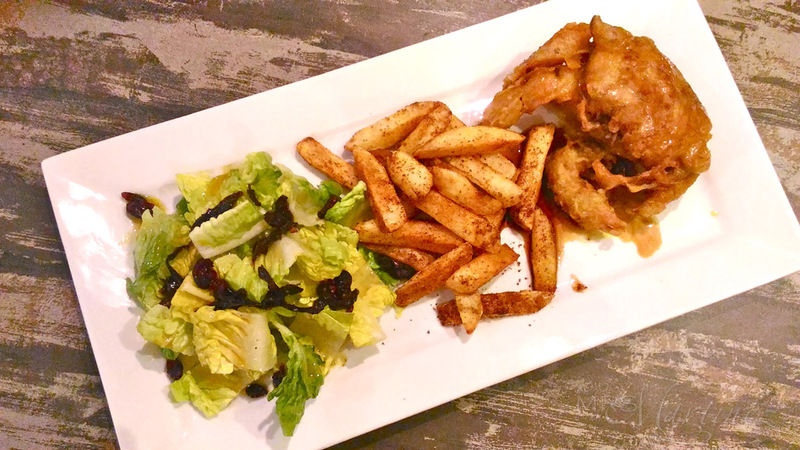 Blue Rocket Cafe + Kitchen is located at 70 Scout Reyes corner Scout Lozano in Quezon City.